Transworld Pub. Hardcover. 0593046897 Very Good Condition. Has some wear. Five star seller - Buy with confidence! . Very Good. Bantam Press. Hardcover. Used; Good. **WE SHIP WITHIN 24 HRS FROM LONDON, UK, 98% OF OUR ORDERS ARE RECEIVED WITHIN 7-10 DAYS. We believe you will be completely satisfied with our quick and reliable service. All orders are dispatched as swiftly as possible! Buy with confidence! Transworld Pub. Used - Good. Ships from the UK. Former Library book. Shows some signs of wear, and may have some markings on the inside. 100% Money Back Guarantee. Your purchase also supports literacy charities. Transworld Pub. Hardcover. 0593046897 . Very Good. Transworld Pub. Hardcover. 0593046897 New Condition. . New. Transworld Pub. Hardcover. 0593046897 Like New Condition. . Fine. Book condition: Very near fine in a fine dustjacket (usual toning to the pages). London:: Bantam,, (2003). Very near fine in a fine dustjacket (usual toning to the pages).. First printing. 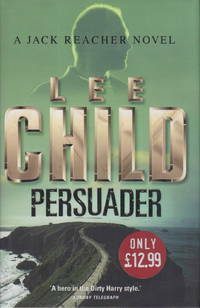 A Jack Reacher novel, the seventh in the series. Reacher, an ex-military cop, the ultimate loner and afraid of nothing, goes deep undecover in the home of a drug smuggler. SIGNED on the title page. The UK edition of this title preceded the US. 395 pp. Bantam Press. Hardcover. 0593046897 This hardcover book is Fine, being square and tight. The boards and spine have no wear with pristine lettering. The pages and endpages are clean, with no markings or folds. The dustjacket is As New. Original Price is intact. Not ex-lib. No remainder mark. This copy is signed by the Author on the title page without inscription. . Fine. 2003. First Edition. Book condition: Very near fine in a fine dustjacket (usual light toning to the pages, appears unread). London:: Bantam,, (2003). Very near fine in a fine dustjacket (usual light toning to the pages, appears unread).. First printing. 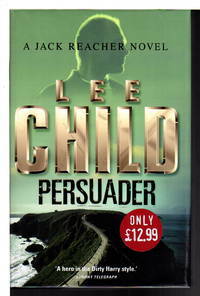 A Jack Reacher novel, the seventh in the series. 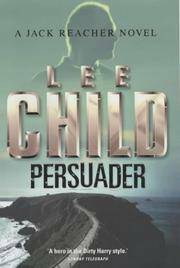 Reacher, an ex-military cop, the ultimate loner and afraid of nothing, goes deep undecover in the home of a drug smuggler. SIGNED on the title page. The UK edition of this title preceded the US. 395 pp.